Building Better Places to Come Home to. We here at Vaughn & Sons believe we have a duty to you, our client. We believe in delivering what we promise; in delivering added value. We are Building Better Places to Come Home to®. 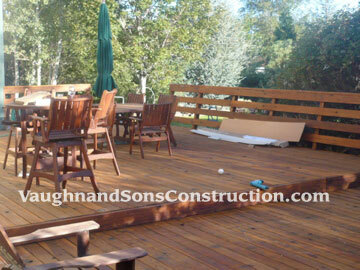 Incorporated in 2006, Vaughn & Sons Construction continue to create beautiful spaces in Northern Nevada. 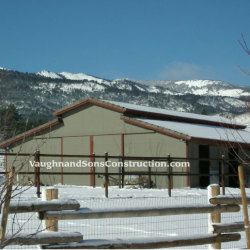 We are licensed and fully insured in both Nevada and California. Vaughn & Sons understands that building or remodeling can be either a stressful time or a time when a customer feels cared for and confident the outcome will exactly reflect their wishes. We here at Vaughn & Sons believe we have a duty to you, our client. We believe in delivering what we promise; in delivering added value. We deliver that cared for, confident feeling by taking the stress out and helping you build your dream. We are proud that the vast majority of our business is through referrals from well satisfied clients. After many years in the construction field, John wanted to create spaces that families wanted to come home to, so in 2002 John & Denise Vaughn and eldest son, Chris, created Vaughn & Sons Construction. 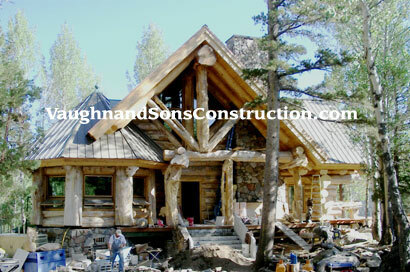 Incorporated in 2006, Vaughn & Sons continue to create beautiful spaces in Northern Nevada. 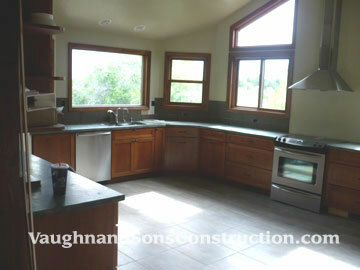 John oversees the construction of each project himself and insures that it is completed as if it were his own home. 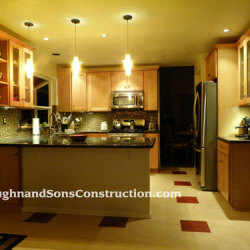 Their experience, coupled with attention to detail is at the forefront of every project. 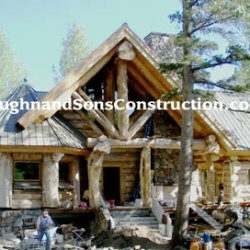 John’s highly skilled crew understands and meets the the high expectations that John and Chris set for themselves. 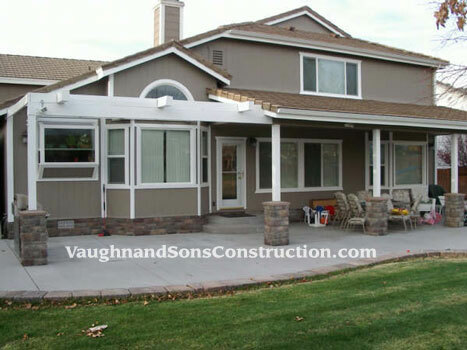 Vaughn & Sons is a licensed general contractor in both Nevada (#62106) and California (#967311). Our bid limit in Nevada is $850,000; there is no limit in California. 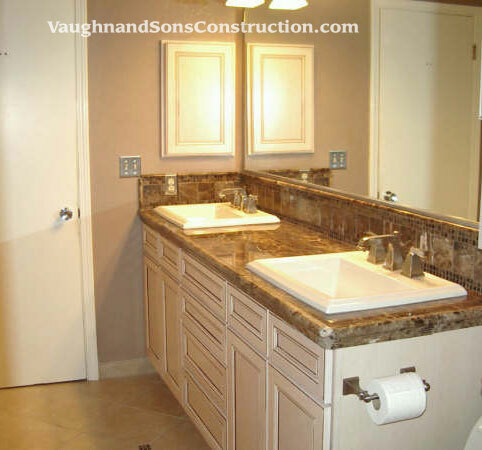 Vaughn & Sons has been a BBB Accredited Business since 4/12/2006. 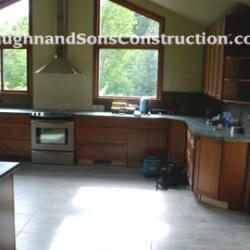 The least enjoyable part of any restoration project is the removal of the old paint or stain coating. 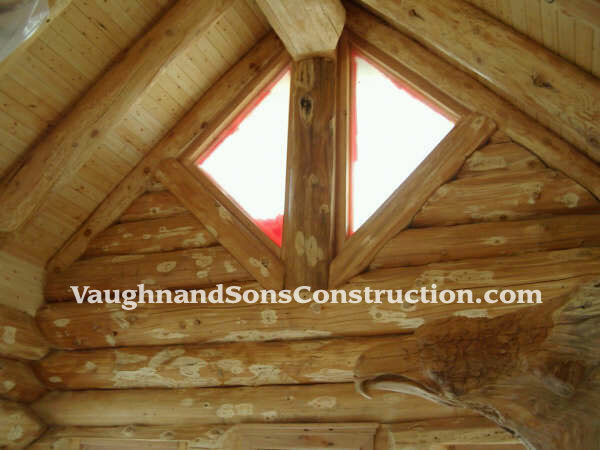 Vaughn & Sons uses a mobile dry media blasting system to remove failed stains and coatings from cedar and log homes and buildings. This system is eco-friendly and utilizes media such as corn cob, walnut hulls, recycled glass, glass bead and sodium bicarbonate. 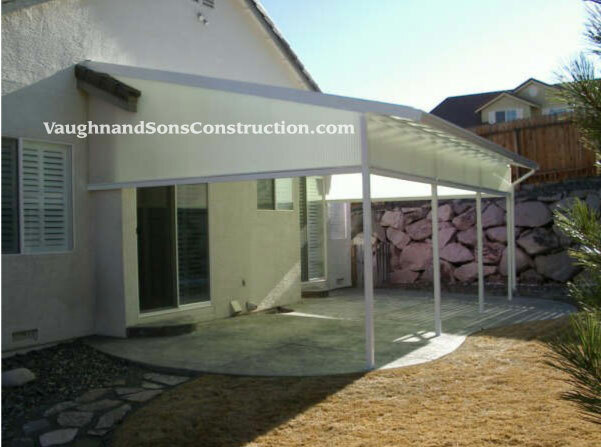 The process is an excellent preparation of the surface for best adhesion of the protective coating. 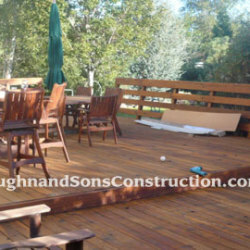 Vaughn & Sons will then apply the appropriate stain or coating to protect your investment. We also utilize our media blasting system for paint & rust removal and industrial surface preparation in a wide variety of applications (cars, boats, cooling towers, tanks, etc.). We accomplish graffiti removal in a number of ways, including repainting or using eco-friendly media blasting and/or products. Most exciting, though, is the innovative process to protect surfaces from graffiti using a deterrent and lift coat system. Vaughn & Sons is proud to announce our certification as Surface Pro Professionals. 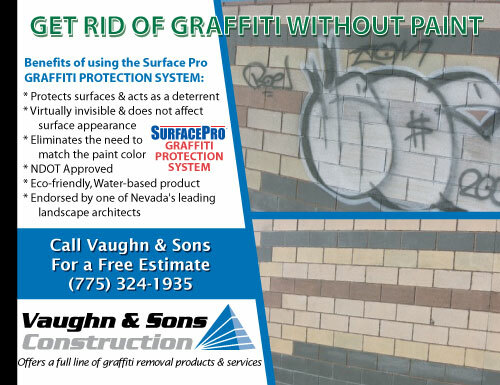 This is a safe and effective anti-graffiti system which is user and environmentally safe (contains no harsh chemicals), cost effective and comes with a warranty. Water damage due to leaks, broken pipes, weather or other sources requires immediate handling to prevent further costly repairs. 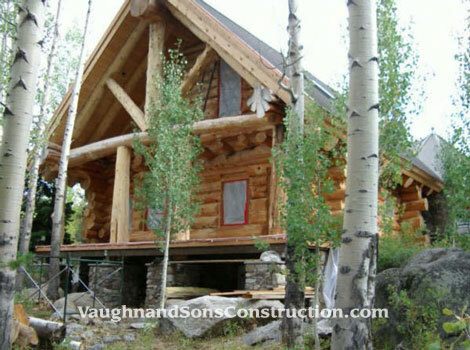 The staff of Vaughn & Sons Restoration (VSR) is fully trained, certified and experienced in water loss management. VSR will respond quickly to provide you with the best service. We will keep you informed throughout the process and ensure your wishes are followed. We listen to our customers. We know your home and possessions are extremely valuable to you and we will exercise the greatest care in returning them to their pre-loss condition. *Mitigate is a word commonly used in connection with water damage and it means to reduce or lessen the damage the water is causing. 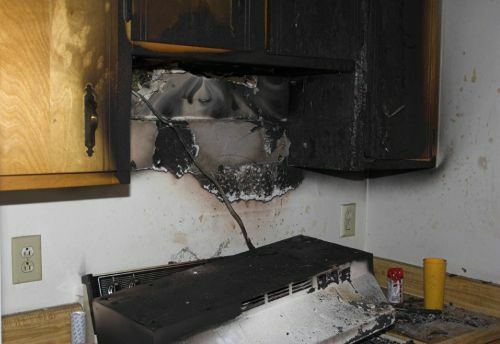 Fire can be a devastating and frightening experience. The damage and loss can be extreme. Even after the flames are extinguished, the damage from heat and smoke continues. We at Vaughn & Sons Restoration understand this and understand the physical and emotional effect this can have on those who have undergone the trauma of a home or business fire. The key thing to know is that we care about what happens to you and your possessions. We will spend the time and attention needed to ensure that your home and possessions are restored to their pre-loss condition. 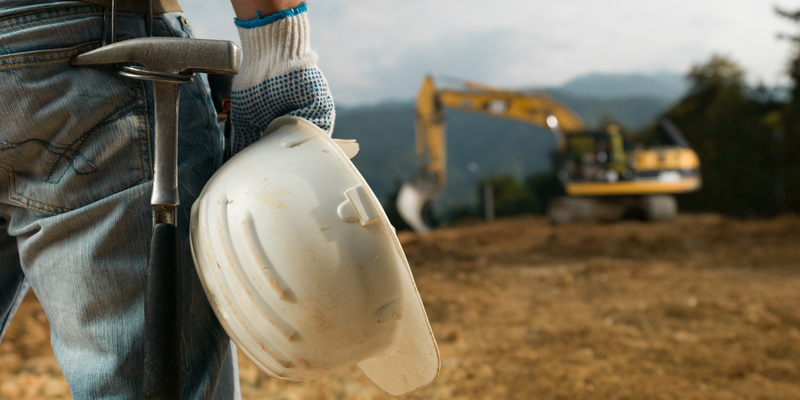 As we go through the steps of the repair, we will keep you well informed, answering any questions you may have as well as paying close attention to your needs and instructions. Our trained professionals will give a full inspection to ensure that all damage from smoke, heat and fire are fully discovered and handled. This includes the removal of smoke and odor. 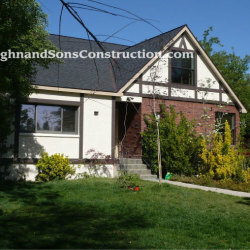 We also work to save all property where possible. 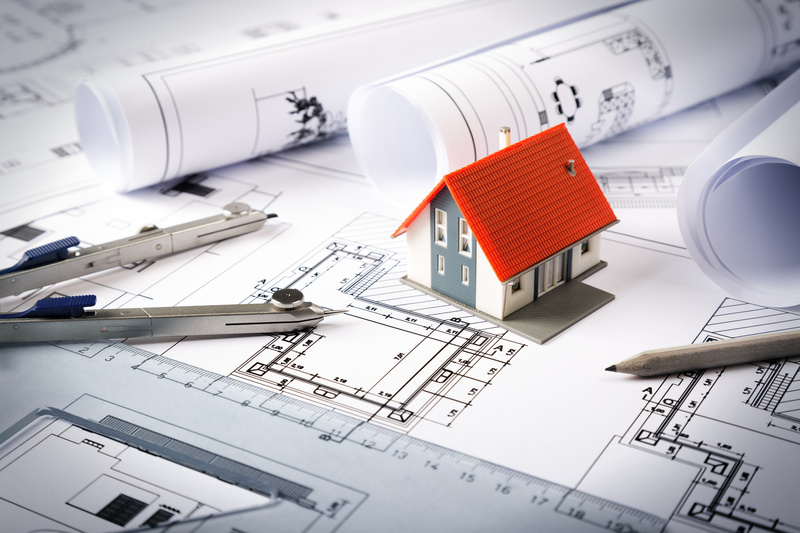 We will then restore, rebuild and renew your property according to your wishes. 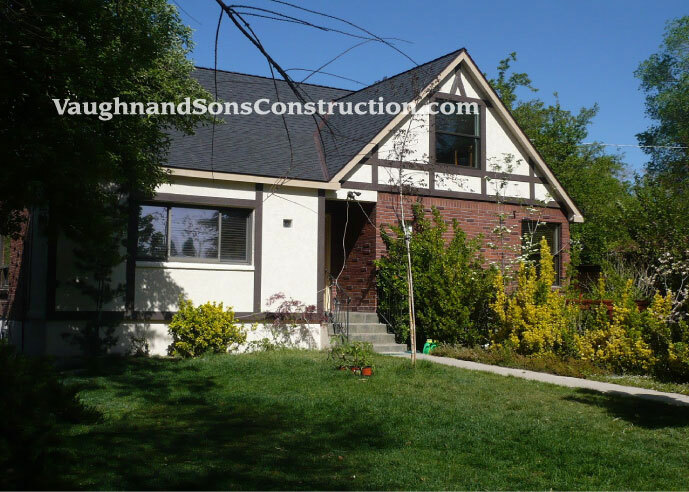 When the restoration and reconstruction is fully complete, we will ensure you are completely satisfied with the results. 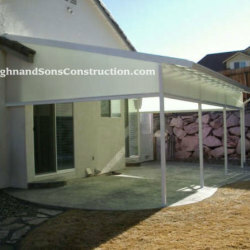 We listen to our customers because it is their wishes that matter the most to us. 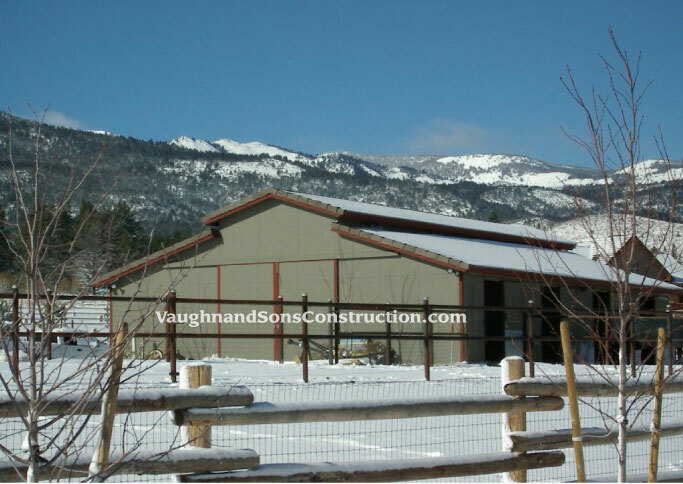 Vaughn & Sons projects throughout Northern Nevada. 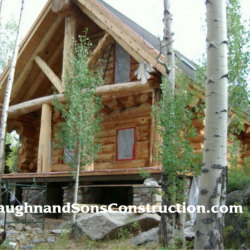 At Vaughn & Sons, we acknowledge our responsibility in using the earth’s natural resources during the construction process. 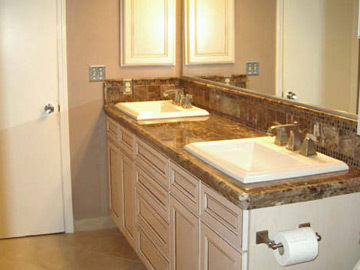 We use resource efficient products during our operations as often as we can. 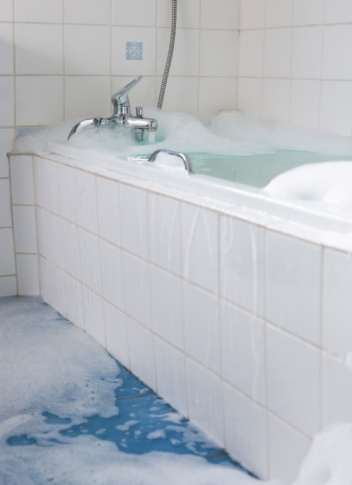 Check out these tips on preventing water damage in your home or business; knowing these warning signs can help you avoid trouble down the road: Preventing Water Damage. 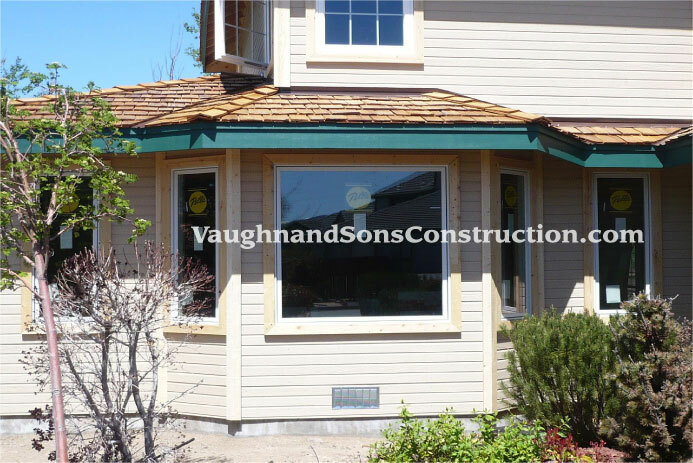 Give Vaughn & Sons a call if you need any help: (775) 324-1935. 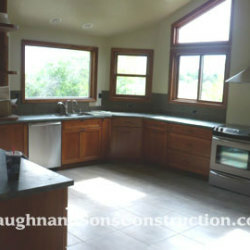 "...All work was done in a professional manner, completed on time and stayed within the bid estimate. 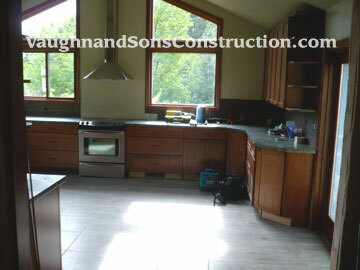 The final product exceeded our expectations!" 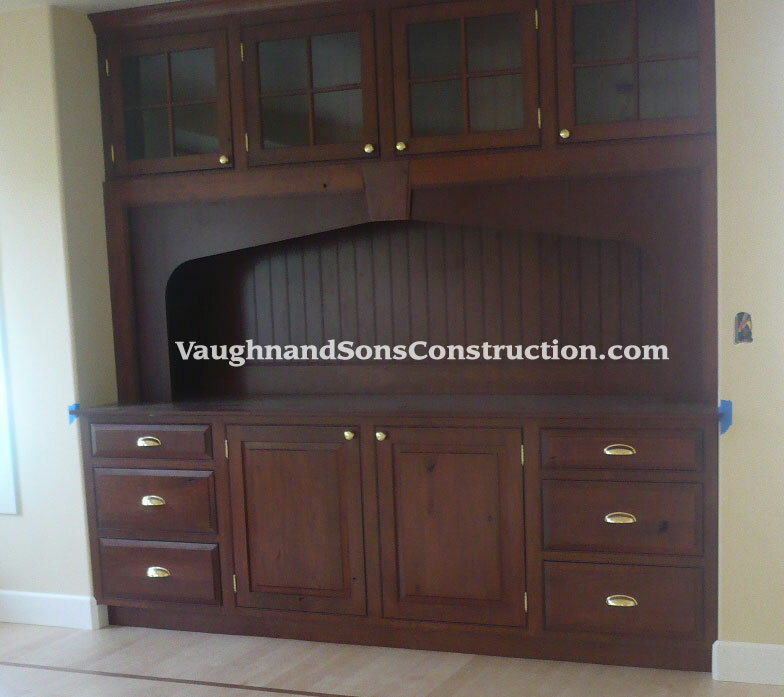 "I have worked with John on several occasions and have found he can do just about anything! He's not a "Jack of all Trades", but is a "Master of all Trades"." 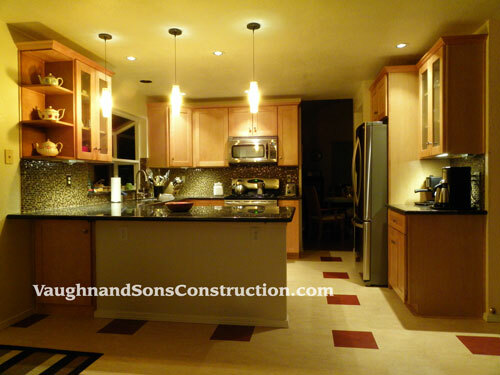 "We are so happy with the work you did for us. I had high expectations and VSC exceeded all of them!" 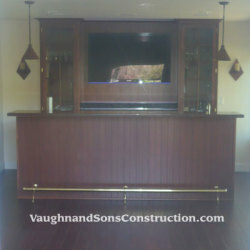 "I couldn't be happier with the work John and his crew have done. 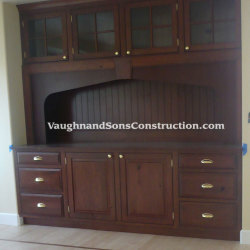 Their work is of excellent quality & John really cares!" "We love the work that John has been doing. It's nice to work with a contractor who communicates so well. Plus, we just plain like him!" 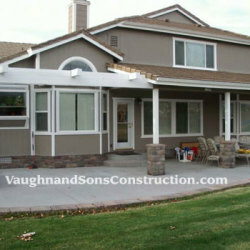 "My name is Linda White, I live in Spanish Springs, and I want to thank Vaughn and Sons for the wonderful job they did for me. 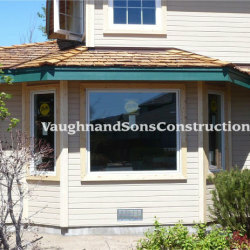 After a water leak ruined walls and floors in my house, Vaughn and Sons did the repairs, and when I asked for a new front door, they did that as well. I could not be happier with my "new house." Their work was outstanding, their employees were efficient and friendly, and they got everything done much faster than I ever thought possible. I don't worry about home repairs anymore because I know who to call!" 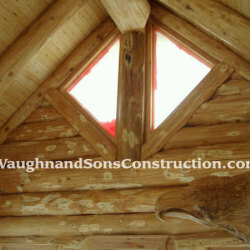 Contact Vaughn & Sons Construction, Inc.